Lenten rose (Helleborus orientalis): growing, planting, caring. 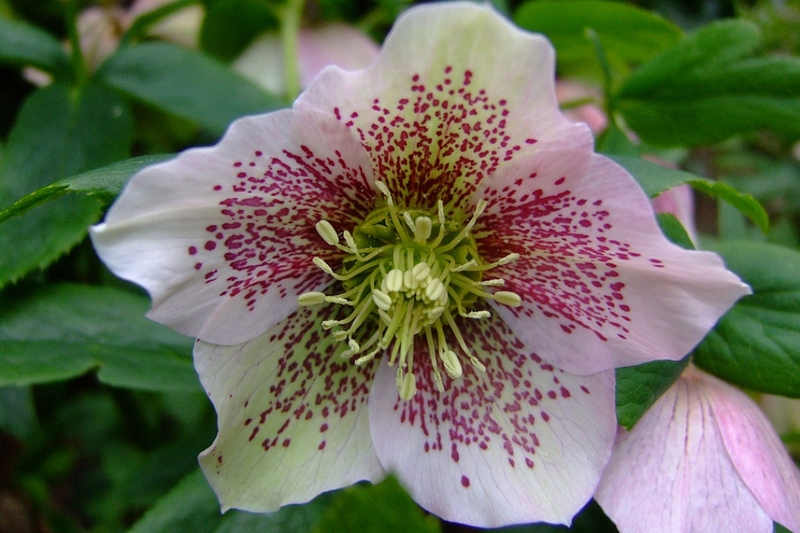 The most popular hellebore for garden use. In the northern hemisphere, it will flower in early spring, around the period of Lent, hence the name. H. orientalis and its colourful hybrids bring early colour to shady herbaceous borders and areas between deciduous shrubs and under trees. Helleborus orientalis - the lenten rose - is a perennial flowering plant in the buttercup family, Ranunculaceae, native to Greece and Turkey. It is a perennial herb reaching 12–18 in (30–45 cm) high, with glossy green palmate leaves composed of 7–9 leaflets with serrated leaf margins. The leaves are evergreen and leathery in texture. The cup-shaped pendent flowers appear in late winter and spring, arising in groups of 1–4 on the ends of thick stems rising above the foliage. 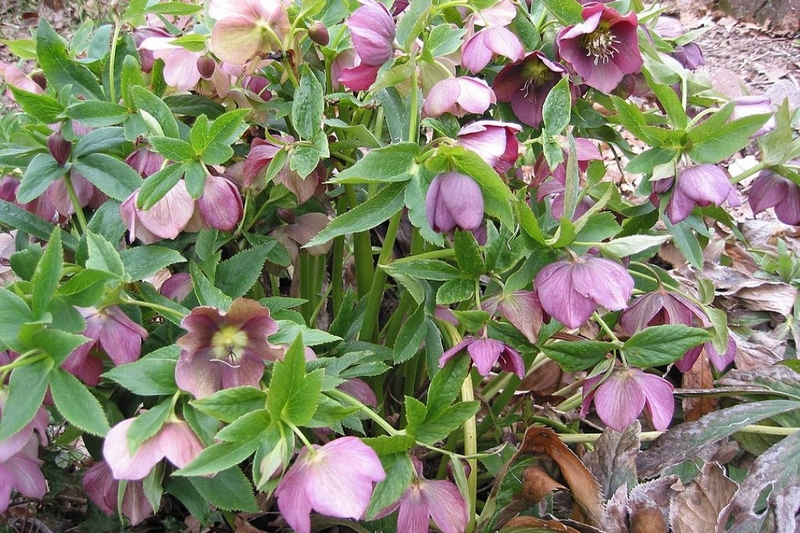 In cultivation, the lenten rose is suited to shaded or part-shaded positions in the garden, in soil rich in humus. Cultivated varieties have a wide array of colours, from white, green, pink to maroon and purple or even spotted flowers. Plant preferably in the spring. In a pot or tray, on a balcony or terrace, install them in the shadow of a wall, in containers much larger than the plants. Handle the plants with care, take care of the roots that are fragile and must not dry out. Prepare the soil by digging (to decompact without necessarily turning it, with a toothpick or a grelinette), a scratching and raking.Incorporate compost of leaves or compost. Plant them in holes about 40 cm in all directions in a drained soil (where the water does not stagnate) and space the plants about 40 to 50 cm. Tamp the soil well to avoid air from the roots, then water thoroughly. In summer, avoid your hellebores a suffering from drought, especially if you planted them in the spring. Keep the soil moist but do not water too much. Twice a year, in the spring and fall - after and before flowering - add compost or old manure at the base of the plants to stimulate them, because hellebores need rich, humus soils to thrive. Propagating is possible after flowering in March, or in September. Mulching these perennials will save you from watering and weeding and will even fertilize the soil a bit as it decomposes.. If you are Mulching to keep the soil cool, be careful not to create too much moisture that could cause black rot or leaf stains.